Optometry has been an important part of my life for close to 30 years. I have seen some awesome changes in eye care and am looking forward to what the future holds. Registered Optometric Technician 1988 and obtained my License as an Optician in 1990. 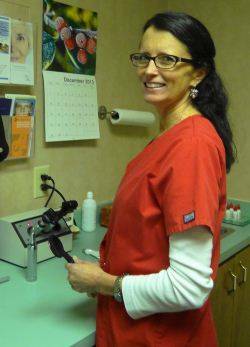 As an Optometric Technician, I am not limited to just one area of the office when it comes to patient care. I handle numerous and diverse tasks to ensure the best healthcare. Working as a Licensed Optician, it is to maintain the knowledge of the ever changing Optical field. Many years of patient care interaction brings such joy to me.